Här har vi en adapter för att kunna montera de kvadratiska balunerna på en plan yta. Med adaptern kommer två skruvar för montering. The Surface Mount Balun Plate allows any MuxLab square balun to be installed on a wall or furniture surface for a more permanent and secure installation. Head-end AV equipment such as DVD players, video servers and sat boxes may be installed in a local wiring closet and connected to the Cat5 structured cabling system via a wide array of MuxLab balun solutions. 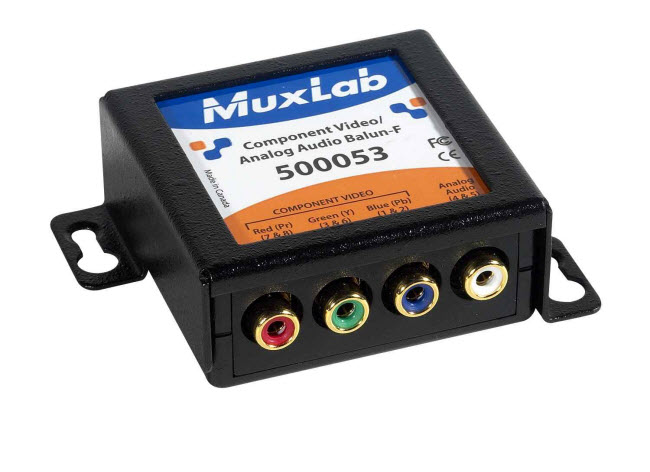 The 500915 fully covers the balun and allows the pin configuration to be displayed for ease of reference. Mounting ears are positioned to allow multiple fixtures to be installed next to each other.